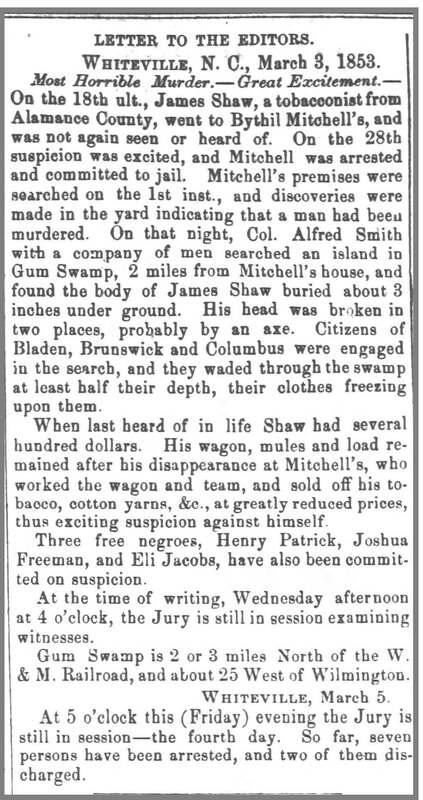 On Sunday, 16th inst., a jury of inquest was held upon the dead body of Caroline Alfonzo, a free colored woman: the evidence proved her to be a drudge laborer about town. At her will, she was the wife of Ned, a superannuated slave, formerly the property of John W. Guion, dec’d. On Saturday, the 15th inst., at 3 o’clock, P.M., she parted company with Ned in good health and went to the house of Mrs. Emily Jane Fulford to fulfill an engagement with her. She left Mrs. Fulford’s about 1 ½ hours before night-fall, and took with her a tray of plates containing sausages and pigs feet to sell for Mrs. Fulford – she was under the influence of liquor at the time, — she did not return to her husband nor her employer as was her custom to do. Sunday morning Caroline was found dead in the road leading to Pembrook near the South-West part of the town: on examination there was traces of blood from where she lay to a ditch about thirty yards distant; a smooth deep cut on her right cheek was the only mark of violence found on the body. By request of the Jury, Dr. R.S. Primrose examined the wound and pronounced it insufficient to produce death and stated that it might have been the result of accident. The clothes of the deceased were wet and frozen; the ditch had water in it about 3 ½ feet deep, and showed that it had been recently disturbed; a tray, some crockery and plates, etc. lay near the body. In her pockets was ninety cents, in silver and copper coin, a snuff-box, &c.
Newbern Weekly Progress, 18 December 1860. 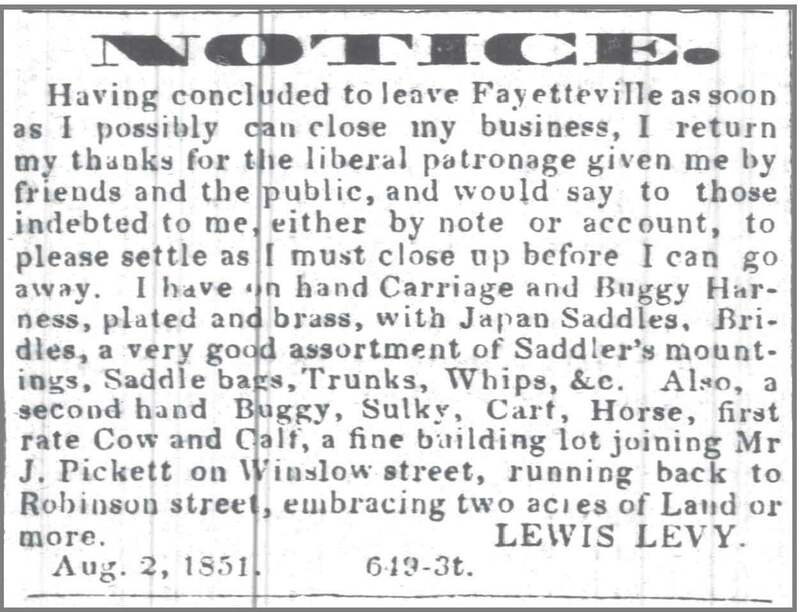 Fayetteville Weekly Observer, 8 May 1858.